Writes on fabrics, glass, metal, paper, card, wood, stone and most other surfaces. 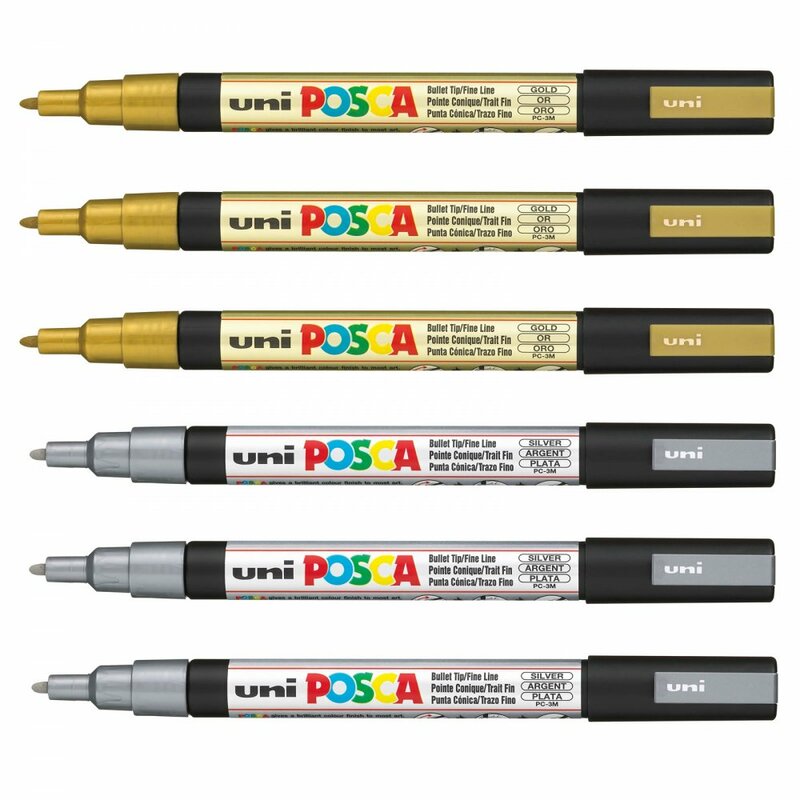 Water resistant, fade resistant and odour free, these pens are perfect for most projects. Great set, I needed silver and the colour was good, fine enough to write nicely, quite liquid - exactly what I needed.